703 626-4033 / Call Now! Anything with fundraising or fun – sports leagues, school events, festivals and fairs, school sports, birthday parties, corporate events, picnics, church events, block parties, daycares and preschools. So yes, we pretty much do it all! SNOWIE can easily accommodate over 500 servings per hour! Have you seen the SNOWIE BUS? Simply put – there is no comparison. What really sets SNOWIE apart is our patented self serve technology. 10 flavors that YOU can apply yourself!! Or choose from over 50 custom flavors we can create for you! Our sound system pumps out your choice of music that will have your party jumping. SNOWIE is way more than shaved ice, it’s a total taste, sight and sound experience. We do all the work so you don't have to find another volunteer to man the machine. Once you try SNOWIE, you will never rent a snow cone machine again! Just tell us where to park and who to write the check to. Really – it’s that simple. 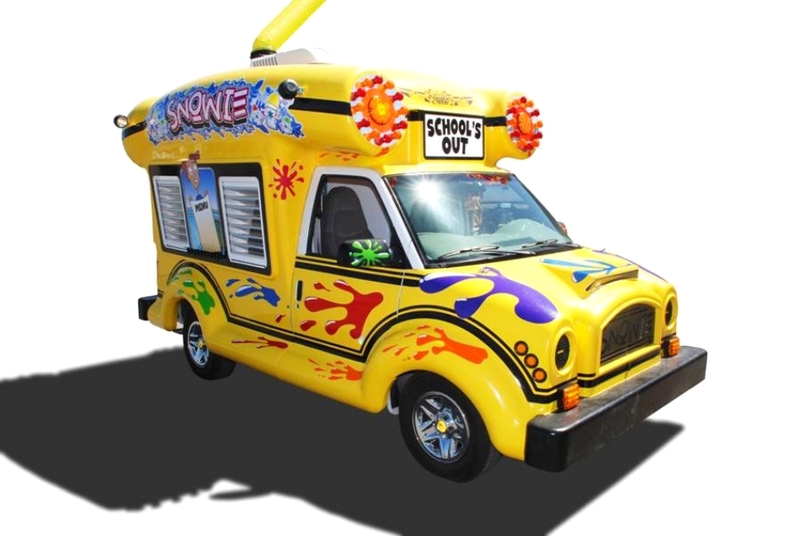 SNOWIE will partner with your organization, league or school to sell shaved ice and return a generous portion of the proceeds. We have several different fundraising programs. SNOWIE helped raise more than $15,000 last year and we are on track to exceed that this season! We generate additional revenue above what you are receiving from concessions, complementing the concessions experience for your customers and creating revenue for your organization. The more times SNOWIE is invited and the bigger the attendance, the higher the revenue for your events. During the course of a sports league's season, it’s not unusual for us to donate thousands of dollars.